“MY GOAL was never really to make Facebook cool. I am not a cool person,” said Mark Zuckerberg, the boss of the social-media giant, in 2014. That has never been more true. His company has spent the past year stumbling through controversies over the peddling of fake news and enabling Russian manipulation of American voters, with various degrees of ineptitude. Then, on March 17th, articles in the New York Times and Britain’s Observer newspaper suggested that a political consultancy, Cambridge Analytica, had obtained detailed data about some 50m Facebook users and shared this trove of information and analysis with third parties, including Donald Trump’s presidential campaign. The result is a corporate crisis—and a political reckoning. Republicans and Democrats alike have called on Mr Zuckerberg and the heads of other tech firms to testify before the Senate. America’s consumer watchdog, the Federal Trade Commission (FTC), has also reportedly launched an investigation into Facebook’s privacy policies and whether it violated a consent decree of 2011 requiring the social network to notify users about how their data are shared. British MPs have called for Mr Zuckerberg to come before a select committee. Even Facebook’s allies have unfriended it. On Twitter, Brian Acton, a co-founder of the popular messaging app WhatsApp (which Facebook bought for $22bn in 2014), encouraged people to “#DeleteFacebook”. News of his post pinged around the internet, including on Facebook itself. Investors, who have forgiven months of bad headlines in light of Facebook’s strong financial performance, are growing jittery. Between March 16th and March 21st the firm’s share price fell by 8.5%, erasing $45bn in market value. Facebook is still the world’s eighth-most-valuable publicly listed firm, but shareholders worry that politicians in Europe and America may impose onerous restrictions on data, suppressing growth. The Cambridge Analytica scandal reveals Facebook’s morphing, porous privacy policies and the company’s cavalier approach to oversight. The data on Facebook users were obtained by Aleksandr Kogan, a researcher at Cambridge University, who enticed some 270,000 people to take part in a survey in exchange for a small fee. 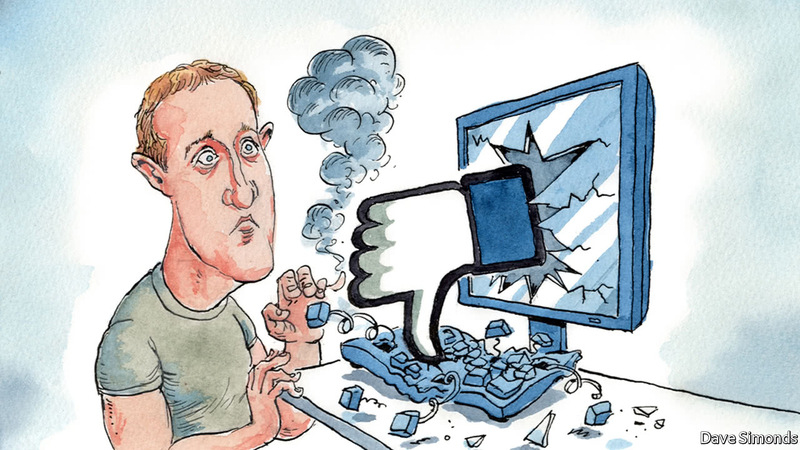 When those users installed the survey app, they shared details about themselves and—unwittingly—their friends, around 50m Facebook users in all. Surprisingly, before 2015 Facebook’s rules allowed the mining of social connections without each user’s consent. Although news of Cambridge Analytica’s peddling of Facebook data was first reported in December 2015, the social network reportedly did not respond until eight months later, with a letter asking the firm to delete the data. It seems not to have checked that this was done. The lax response is evidence of wider “systemic operational problems”, says Brian Wieser of Pivotal Research, who follows the firm. If reports are to be believed, Cambridge Analytica has a habit of pushing ethical and legal boundaries to gather data. On March 20th Alexander Nix, its chief executive, was suspended after recordings were aired on British television that seem to capture him describing manipulating people for information. Britain’s data-protection regulator, the Information Commissioner’s Office, is expected to search Cambridge Analytica’s offices. The scandal reverberates through politics as well as the internet. Facebook has built a mammoth advertising business, with sales of around $40bn in 2017, by gathering detailed information about users’ identities and behaviour online and then selling access to them. 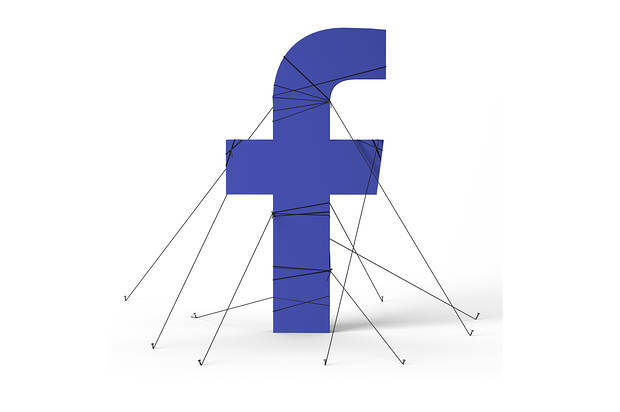 Facebook tracks users not only on its services, including its eponymous social network and Instagram (which it owns), but across the web. Knowing that someone is a dog owner and interested in buying a new lead may not seem controversial. “Microtargeting” someone in order to influence their political views and voting behaviour appears more sinister. Though political advertising is still a minuscule percentage of Facebook’s revenues, perhaps around 3%, it is a growing and lucrative line. Politicians have found that using Facebook can pay dividends. Even without using illegitimately obtained data to boost targeting, the social-media firm offers precise tools to political campaigns, including reaching users on Facebook whose names, phone numbers and e-mail addresses they already have. Facebook also enables campaigns to target voters who show an interest in the same issues or have similar profiles, packaging them into what it calls “lookalike audiences”. No other Western company apart from Google has such rich data. Barack Obama’s campaigns were digitally sophisticated and used Facebook to reach prospective voters. Yet Mr Obama got proper permission to obtain data about people’s friends and did not microtarget users on an industrial scale, unlike Mr Trump’s campaign. Targeting based on Cambridge Analytica’s data may have helped Mr Trump win the presidency, although how much cannot be known. Companies can overcome scandals. Rupert Murdoch, a media mogul, survived a maelstrom in 2011 when it was reported that a newspaper he owned had hacked the phone of a murdered girl, Milly Dowler. Mr Zuckerberg, like Mr Murdoch, has structured ownership of his firm so that he controls super-voting shares, and will probably maintain his power. But there is speculation that some of his lieutenants, including Sheryl Sandberg, could leave in the next year. The head of security, Alex Stamos, is expected to resign. Mr Zuckerberg’s response to the scandal has been modest. He has apologised and promised thorough audits of third-party app developers and steps to make it easier for users to control their privacy settings. Such basic assurances may not be enough to reverse flagging corporate morale and win back the enthusiasm of users. Trust in social media is already low, and Americans have been spending less time on Facebook, in part because so much of what they see online is negative and dubious. Globally, users spent around 50m hours less per day on Facebook in the fourth quarter of 2017, which translates into a 15% drop in time spent year over year, according to Mr Wieser. As some users turn away, politicians in America and Europe are likely to give Facebook more of their attention. They are scrutinising Facebook’s conduct and may propose new laws, especially in the domain of data privacy. In May regulations concerning data protection and user consent will come into effect in Europe. America has historically been weak on data protection, except for specific industries like health care. Overworked regulators have typically responded to reports of misconduct on a case-by-case basis, and the online advertising industry has been trusted to police itself. Mr Obama was in favour of a consumer-privacy bill of rights, which would give users more control of their online data by requiring user consent. That made little headway because of opposition from the industry. Some politicians may want to revive talk of such a law, especially as Europe strengthens its safeguards. But political reformers seldom have an easy time in America. And, like many others, politicians have come to rely on Facebook. LONDON – British Prime Minister Theresa May has finally had a good crisis. Responding to the nerve-agent attack on former Russian double agent Sergei Skripal and his daughter Yulia in the placid market town of Salisbury, England, May projected strength – including to her fellow European leaders – by demanding that the Kremlin answer for the crime. As a former home secretary, security is clearly her strong suit, and she has now gone a long way toward repairing her tattered authority in Parliament. 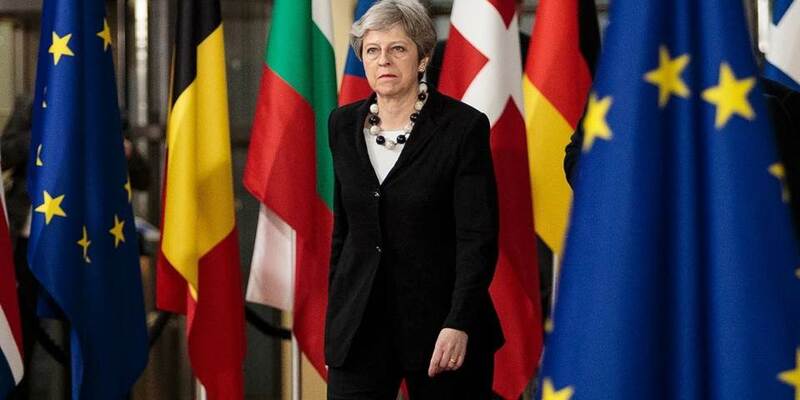 Moreover, May also managed to reach an agreement with European Union negotiators on a 21-month transition period for the United Kingdom’s withdrawal from the bloc. And yet, despite May’s personal successes, this week might well be remembered as the moment when the foreign-policy costs of Brexit became clear. Until now, the British foreign-policy grandees and former ambassadors warning that Brexit will severely damage the UK’s standing in the world have been dismissed by much of the public as discredited elites and fear-mongers. Understandably, Brexit supporters have taken little notice of various straws in the wind heralding the direction their country will take. They are unmoved, for example, by the fact that, after losing a United Nations vote, their candidate pulled out of the race and the UK now has no judges seated at the International Court of Justice for the first time in 71 years. Still, if that wasn’t enough to reveal Britain’s new loneliness, the use of a Soviet-era nerve agent on British soil certainly is. Though EU members have expressed their support for Britain and made assurances that Brexit will not disrupt solidarity or security, there are signs that this united front may, in fact, be just a front. The European Commission president, Jean-Claude Juncker, congratulated Russian President Vladimir Putin on his election to a fourth term – a move that rankled the UK. Greece and others also expressed some skepticism about the relationship with the UK as they arrived in Brussels for the European Council summit. Across the Atlantic, US President Donald Trump also congratulated Putin. While he also condemned Russia for the Salisbury incident – a rare departure from the Putin-loving corner he has painted himself into – support for Britain on this occasion seems to have been motivated more by his political calculus than a deep sense of solidarity. After several days of deafening silence, Trump was under growing pressure to speak out. And on the whole, his unpredictability and transactional approach to alliances has already called into question Britain’s most important relationship outside Europe. Beneath the surface, the international response to the Salisbury attack reveals alarming cracks in the UK’s position on the world stage. It is widely assumed that the UK’s weak response to similar incidents, not least the 2006 murder of the Russian defector and former spy Alexander Litvinenko, has convinced Putin that he can get away with such provocations. But Putin may also have anticipated the public outrage over the attack on the Skripals and calculated that EU member states with pro-Russian governments – namely, Hungary, Greece, and, soon, Italy – would veto any strong EU response. By this reasoning, Putin could drive an even larger wedge between Britain and Europe, thus advancing his longstanding goal of undermining European solidarity. In any case, the UK’s isolation and vulnerability are now abundantly obvious. In its efforts to apply pressure on Europe, the Kremlin has identified Britain as a weak link. And those efforts go well beyond attempted murder on British territory. It seems increasingly likely that Russia also interfered in the Brexit referendum, as it did in the 2016 US election; and that Russian criminal elements have penetrated London’s financial and services sectors. Britain is a beachhead in Russia’s strategy to undermine European security. Unfortunately, the territorial defense guarantee that comes with NATO membership does little good in a conflict conducted in the shadows through assassinations, cyber warfare, and criminal subterfuge. Nor does NATO membership help in responding to the Kremlin’s exploitation of European dependence on Russian energy, such as when it uses natural-gas supplies as a geopolitical weapon. The decision by a slim majority of UK voters to leave the EU may have been motivated mostly by domestic issues such as political dysfunction and immigration, but the Skripal episode has made it clear that the costs of departure will be felt first on the foreign-policy front. The rest of Europe will sink or swim together in confronting Russian aggression. But the UK, having singled itself out, is a prime target for a dunking. In recent years, Russian officials had already become increasingly derisive toward Britain’s presumptions about its international status and power. Like many observers around the world since the Brexit vote, the Kremlin does not look at the UK and see a country able to wield anything approaching global influence. Rather, it sees a country mired in nostalgia – easy pickings for destabilization. In a sense, “Leave” voters were right that the EU is out of touch with the times, but not for the reasons they thought. One can debate whether the EU is a stale champion of the rules-based liberal international order. But what is now clear is that it is not ready for the emerging post-liberal order. In the new order, strong states will throw their weight around with little care for the rules-based system that the EU has long epitomized. But at least the EU will have numbers on its side. Putin’s Russia will be just the start of post-Brexit Britain’s worries. The UK will also have to contend with China, Turkey, Egypt, Saudi Arabia, and even its most important ally – the US. Just as Britain negotiates its exit from the EU, the consensus-based multilateralism of the post-war era is being supplanted by muscular nationalism. In this new schoolyard, only those with committed friends will be able to stand up to the bullies. Others will have no other choice than to cower and hope for the best. Legislators don’t seem quite so open minded about the future of Facebook, or the internet more broadly, which could raise regulatory risks for the social media behemoth and others like Alphabet’s (GOOGL) Google and Twitter (TWTR). Within a few weeks, Facebook will roll out a tool at the top of News Feed with a list of recently used apps and an option to revoke permissions to user data. The company says such a tool is available in privacy settings, and it is essentially making it more prominent to ensure users are aware of it.